True was hired to rebrand Fifth Third Bank’s signature financial education program for elementary students, Young Bankers Club. 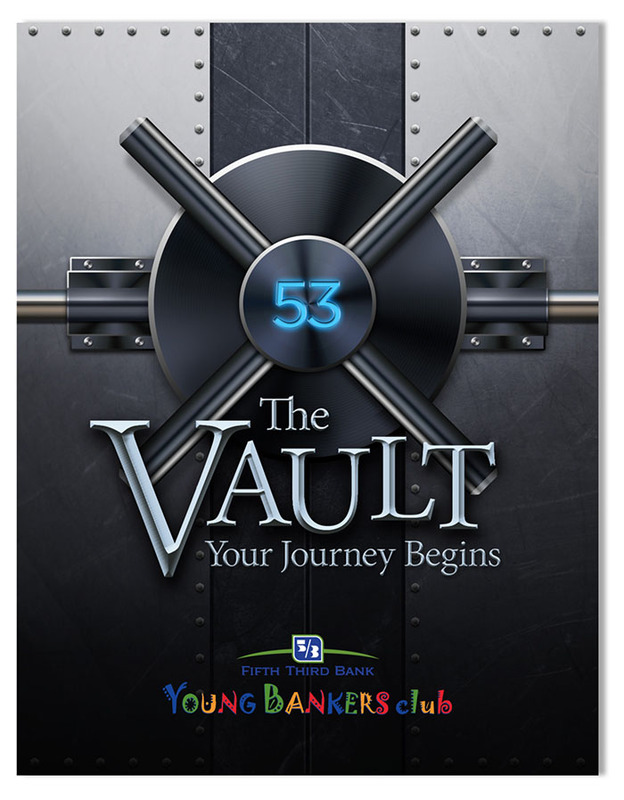 The Young Bankers Club is designed to teach fifth-grade youth the basics about money, including what it is and how people get it; the importance of saving and how education; and career choices affect their future. The bank came to True looking to update the program by incorporating greater flexibility that would enable them to extend the reach of the program into more schools throughout each of its 12 states of operation. The program was also in need of a fresh new look and feel that would resonate with fifth-grade students. After conducting a thorough analysis of the brand, True created a brand strategy that led to the dynamic creative concept, The Vault Video Game Challenge. Students play on a “team” with fictional characters Trey, Justin and Mya to complete money-related activities to unlock levels of the Fifth Third Vault. True created engaging content utilizing The Vault Video Game Challenge storyline to weave each unit of the student workbook together as well as developed content for the instructor guide. As the content was developed, True worked with a curriculum specialist to ensure that it met all national and state mathematic standards for the bank’s geographic footprint. Understanding the important role that design plays in conveying a strong message, True oversaw the creative direction of a visually and emotionally stimulating graphic design aimed to increase interest, excitement and participation of students and instructors. Once design was complete, True managed the printing of both the student workbook and instructor guide. Working closely with the bank’s team to navigate its internal processes and regulatory compliance, the final result was an exciting comprehensive curriculum that that meets national and state educational standards for fifth-grade mathematics. The response has been fantastic and the teachers are amazed at how engaged the students are with the new program. True also developed a 24-month strategic plan for the brand.